The TBC Bank group will soon enter the insurance market. One of Georgia’s biggest banks, TBC acquired 100 % of the shares of the Kopenbur insurance company, which launched operations on the Georgian market in late July 2014. The Bank signed a $ 1.4 million deal on Monday to purchase the Kopenbur insurance company. Once the process is finalized, Kopenbur will become the main Banc assurance partner of TBC Bank. The company will be oriented towards Motor, Travel, Personal Accident, Credit Life, Individual and Group Life, Business Property and Liability Insurance services. 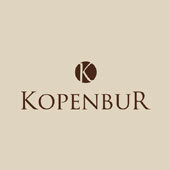 According to the second quarter report, the Kopenbur premium portfolio made up 3,67 million GEL. Now, as TBC Bank owns Kopenbur, its services will be offered to TBC Bank customers. Kopenbur is focused on the retail segment in Georgia, with particular strength in motor insurance, and complements the traditional Bancassurance products and services offered to TBC Bank customers. Deputy Director of TBC Bank Paata Kighuradze stated that the services will be very useful for TBC clients. “I think that by this decision our customers will have much more comfort. The services will be carried out in the most comfortable way. In the near future, as all the procedures are over, I am sure the company will become much more attractive for investors,” stated Kighuradze. According to him, over 100 people are already employed in the company. The bank plans to assimilate approximately 25 % of the insurance market in the country.